2003 in Northeast Philadelphia reeked of food-scented Lip Smackers and judgement. I lived in a world where grey sweatpants, Adidas slides with ankle socks, knotted t-shirts, and tiny dressy purses were to be worn all at once. Your hair was to be both straightened and poorly highlighted. A wife-beater counted as an actual shirt. Thin eyebrows were all the rage. I felt round and pale and frizzy. I liked to wear colorful monochromatic outfits that resembled a onesie. The vibrant pieces matched so perfectly that one would have trouble deciphering where my top ended and where my bottoms began. My glasses magnified my eyes so significantly that my classmates often asked me 'what was wrong' with my face. 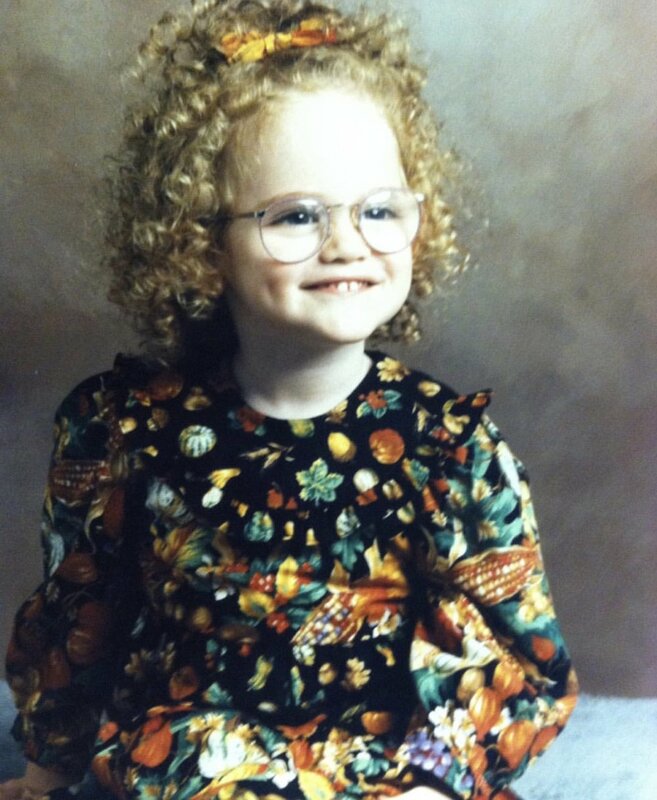 My curly hair was an outlandish, atrocious phenomenon that was avoided like the plague. I was not on any sports teams that provided me with a neighborhood t-shirt. It was then impossible for me to knot said t-shirt at the bellybutton and wear with men's sweatpants. And to boot, I had freckles. Social suicide. In a in a world that constantly asks us to compare ourselves to others, 12 year old me decided to compare myself to...myself. I ask you to do the same. I hear so many ladies lamenting over the Instagram posts of others. Those girls that they find to be prettier, happier, funnier, and more adventurous. If you focus on your own experiences and your own well-being, you'll never be jealous. Work on lifting up those around you. Women supporting women is as simple as it sounds. Step away from your screens. Try talking to the girl next to you and not about her. Who knows. She could actually be pretty interesting. Or she might at least have some Adidas slides with ankle socks that you could borrow.